It’s pretty clear that Trader Joe’s seems to be the jam. 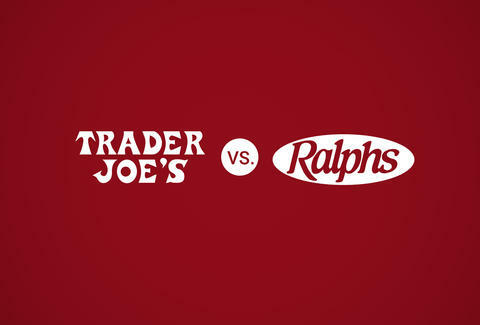 And even when things are priced exactly the same, let’s not forget: TJ-brand quality pretty much dominates Ralphs-brand quality. So, unless you’re going to Ralphs to buy a lifetime’s supply of Swiss cheese and nothing more, Trader Joe’s should be your move for the cheaper grocery bill. And like, duh, their freezer section is unbeatable. Wilder Shaw is a regular Thrillist contributor who loses his damn mind for Trader Joe's hearts of palm. Send him a jar on Twitter at @WilderShaw_ and Instagram at @wildershaw.